One of our favorite events in Binghamton, NY is Spiedie Fest weekend which takes place the first full weekend in August. 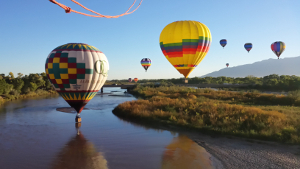 We at Southern Tier Balloon Tours offer passengers the opportunity to take a hot air balloon ride throughout Spiedie Fest weekend without the headache of having to buy an admission button or trampling through crowds at Otsiningo Park by flying from our own private launch location. We still fly with all the balloons from the event (weather permitting) but don’t take off from Otsiningo park itself. Our Launch location is Sunrise Terrace community about a quarter mile west of Otsiningo Park which has plenty of free parking and is easily accessible. 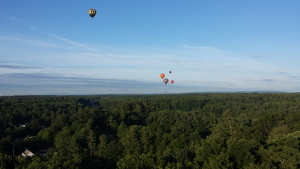 Hot air balloon rides during Spiedie Fest weekend are available for a special price of $200 per person. No buttons are necessary and we have free parking, which is all included with your flight purchase. 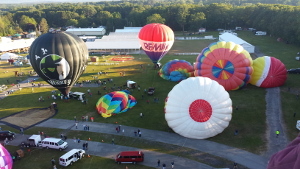 All flights with Southern Tier Balloon Tours during Spiedie Fest weekend are 45 – 70 minutes in the air with the whole experience lasting about 3 hours. 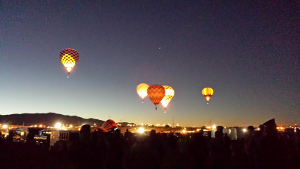 All balloon flights include a post flight champagne toast with sparkling wine (non-alcoholic available on request), soda, water, and delicious craft beer. 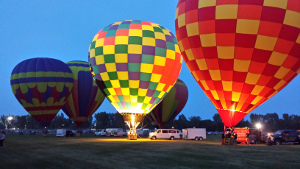 Come join us and up to 20 other hot air balloons in the air during Spiedie Fest weekend in Binghamton, NY! Our launch location is at the Sunrise Terrace Community baseball field. Please note we are not affiliated with Spiedie Fest & Balloon Rally in any way.